Singtel has once again maintained its lead in the annual Singapore Governance and Transparency Index (SGTI), with a base score of 92 out of 100. Ranked 4th last year, CapitaLand jumped two spots to clinch the second place, with a base score of 91. DBS (89), which was ranked 2nd in 2016, fell to third place this year. Tied with DBS for third place is Singapore Exchange, which maintained its ranking and had a base score of 92. Keppel (90), Sembcorp (86) and Tuan Sing Holdings (85), maintained their ranking at 5th, 6th and 7th place respectively. The SGTI evaluates more than 600 SGX-listed companies on their corporate governance disclosure and practices, as well as the timeliness, accessibility and transparency of their financial results announcement. The Index also evaluates companies based on factors such as board responsibilities, accountability and audit, disclosure and conduct, and engagement of shareholders. In a press statement, Singtel group CEO Chua Sock Koong said the company believes that “strong corporate governance is the foundation for sustainable growth and long-term value creation”. 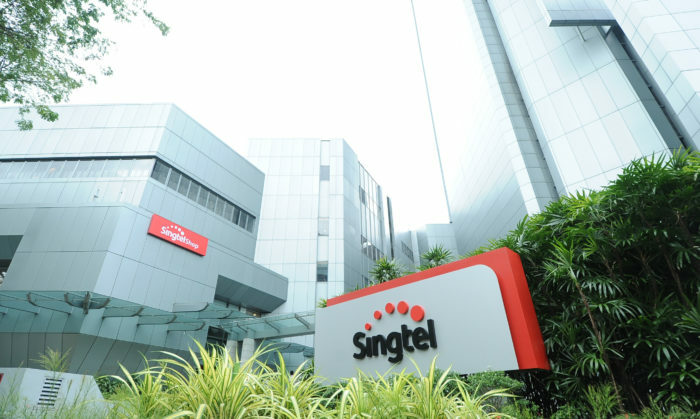 It regularly ensures that the corporate governance it employs reflects the rapidly changing business environment Singtel operates in. Marketing issues are “just as important to consumers as what they were 20 years ago”, said Foley. A brand is a promise and consumers will find a better alternative when they feel a brand is not delivering. But the key factor is now the medium and the speed at which information is disseminated. “A message can now be conveyed to thousands of consumers in the swipe of a screen, the implication being that reach and frequency are easier to achieve than what they ever have been. When a message or a claim is untrue, the damage is exponentially higher due to the rate at which it can spread. This is why authorities need to monitor and manage dubious marketing activity,” he said. Dinesh Sandhu, managing director, DIA Brand Consultants added that mainstream consumers are “more aware and astute” when it comes to sustainability practices, fair trade and human capital diversity. This is largely because of the recent “well-documented reports” of global brands violating the rights of small shareholders, labour in emerging markets and minorities. Social media bring some of this issues to the forefront on consumer consciousness. Both Foley and Sandhu however added that there was potentially a missed opportunity here to capitalise on the results. “In this instance, I’m struggling to see how the Singapore Governance and Transparency Index will capture the attention of most Singaporeans. The topic is important to consumers, it’s just the way it’s being conveyed feels urbane and pedestrian,” Foley added. Echoing his sentiment Sandhu said that the role, mission and aims of SGTI have to be communicated to the mass audience, as it is only currently known in the business circles. “Singapore has done a great job of ensuring trust and peace of mind through initiatives such as the National Trust Council’s Trust SG. Similarly, SGTI needs a comprehensive roll out to the mainstream audience,” he said. When it comes to improving brand transparency, Foley advises marketers to put themselves in the consumers’ shoes and think about questions such as “Why should I trust you?”, “Are you in this for the long term?”, “Do I want to invest in this?”, as well as “How do you make me feel?”. Consumers subconsciously self-select brands the same way they do people. “Evidently, trust underpins most relationships. Marketers need trust to be a mandatory when determining all brand activity. When this becomes the norm, transparency is a natural outcome,” Foley explained. In order to have loyal consumers, companies will need to build a transparent brand, Sandhu said. He advises new and established entrepreneurs who aim to build a company that has “lifelong customers” to be transparent with sourcing and formulation as consumers want to know “everything” about a product. Sandhu added that brand development, brand story, values, ethos and authenticity are also crucial in helping consumers learn more about the company beyond its products. If your brand isn’t transparent, consumers will hunt for information elsewhere. The Google generation will get to the truth eventually, so its advisable to be upfront. “Brand transparency can produce lifelong consumers. Once they’re in, they tend to stay for long periods of time. Brand transparency isn’t just a nice thing to strive for. These days, it’s a business imperative. Brands can differentiate themselves by committing to full transparency,” he said. The Index is a joint initiative of CPA Australia, NUS Business School’s Centre for Governance, Institutions and Organisations and Singapore Institute of Directors, and is supported by The Business Times. It uses a framework based on the Governance Transparency Index issued from 2009 to 2015. The SGTI score comprises the base score and the adjustment for bonuses and penalties. The base score contains five aspects – board responsibilities (35 points), rights of shareholders (20 points), engagement of stakeholders (10 points), accountability and audit (10 points), and disclosure and transparency (25 points). To derive the overall SGTI score, the total number of bonuses and penalties – positive or negative – is integrated into the base score. In his last role as IBM iX’s head of customer engagement and design, ASEAN, Lockyer worked at the intersection of digital strategy..